Manufacturers need agility — to change processes, integrate acquisitions, meet customer requirements, introduce new products and comply with regulations. 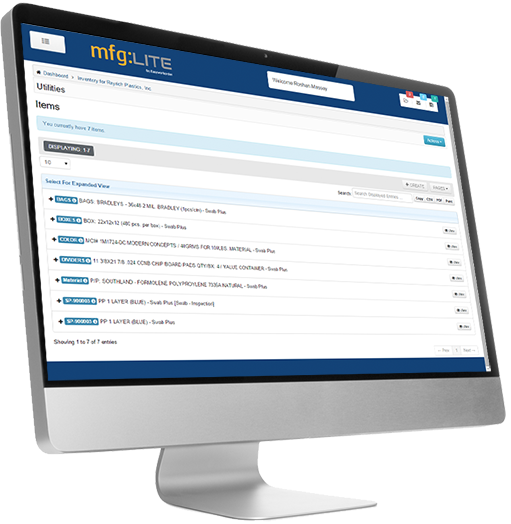 mfg:LITE adapts to any style of manufacturing and to the needs of all your geographic locations. Meet even the most rigorous compliance requirements with integrated quality and traceability across the value chain, including test results and product attributes, accessible instantly using the Lot Trace Workbench. Read the case study on how Reyrich Plastics is enhancing their quality control.